Improve your schedule, cost and quality results for software, IT and systems development projects — solve your challenges now. Improve your Agile/Scrum implementation — fix the frustrations. Improve your capability at delivering software and systems using CMMI V1.3 or V2.0 industry best practices. Fix CMMI implementations gone awry. Help identify strengths, diagnose challenges, set priorities, and develop an improvement plan. 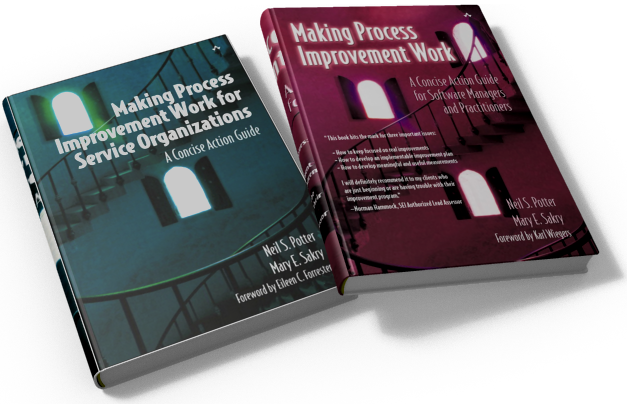 Improve your organization's capability to routinely meet deadlines and delivery quality expectations. Provide expert assistance on the effective use of Scrum (Agile), CMMI-based improvement (implementation and appraisals), requirements engineering and project management. Have your challenges addressed in small bites using our webinars and workshops. Checkout the “News Update and Events” section below.